In harmony with the history of Methodism as soon as the emigrant wagon had made a permanent halt on the prairies of Lancaster County, the Methodist Episcopal itinerant was on its trail. In 1867, the Reverend Robert Hacoks was appointed to what was then called the Lancaster Circuit. Elder J.M. Young who founded the town of Lancaster, later Lincoln, brought with him a group of Christian immigrants and established the first Methodist Church. Among the group was Luke Lavender, the grandfather of Mrs. Belle Vance, a resident of the Havelock area. Mr. Lavender completed the first homestead residence at what is Fourteenth and O streets. The history of the church coincides with that of the Havelock Burlington Shops. In 1873 the Chicago, Burlington and Quincy Railroad was formed by merging with the Burlington and Missouri Railroad of Iowa. On November 2, 1887, Mr. Albert E. Touzalin, president of the new organization, purchased three sections of land in the Havelock area, and formed the Lancaster Land Company. The board of directors built shops to repair and manufacture locomotives. On June 13, 1892 in a double brick building the first job of repairing locomotives by forty workmen was begun. Although Mr. Touzalin died before he could see the fruits of his hopes and careful planning, he had the honor of naming this new center of activity. He chose the name of Major-General Sir Henry Havelock, K.C.B., one of the strongest characters of English history, a man whom Mr. Touzalin had always admired. Soon after the opening of the Burlington Shops, a Prayer group was organized by people who sought Christian fellowship. The meetings were held in Johnsons’ Hall, located at the corner of what is now 62nd and Ballard Ave. This group included Mesdames E. T. Wood, F. H. Baker, C. F. Clemens, R. D. Johnson, William Berry, F. J. Aldenbruch, and S. L. Brown. Other early members of the church included Mr. Myron Short, Mr. & Mrs. C. A. Holderness, Mr. & Mrs. Summer Fulton, Mr. & Mrs. Palmeter, Mrs. William Parrott, and Mrs. W. H. Prescott and her two daughters. From 1890 to 1893 supply pastors served the organization. When the Conference met in 1893 the Rev. W. H. Prescott was assigned to Havelock. He had first come to Lincoln in 1888 as the assistant pastor of St. Paul Methodist church. He and a group of women “the Faithful Twelve” planned the erection of the first building. One fund-raising project of “the Twelve” was a quilt of brick-shaped blocks on which were embroidered the names of persons who contributed to the building fund. Later this quilt was presented to Rev. Prescott and his wife. On October 20, 1893 the excavation for the foundation was begun on lots one, two, and three of the original Havelock plot. The address at that time was 13th and Howard Streets. The lots were donated by the Lancaster Land Company. The building was erected largely by men from the Burlington Shops, who worked outside of their regular working hours. 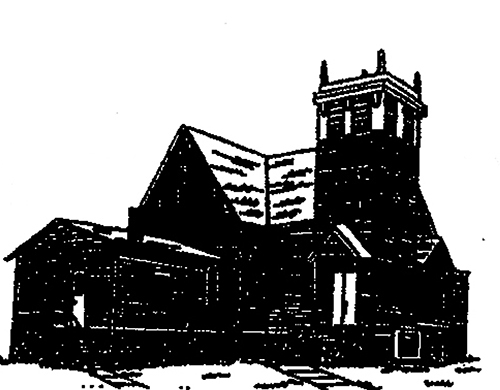 The first services were held in the nearly completed church January 14, 1894. With elegant pews from Wabash, Indiana, and beautiful cathedral glass windows. The church was 60 feet by 60 feet with two class rooms on both the east and west sides, separated from the main room by green baize doors that slid upward. The original cost was $4,500 the church was dedicated April 15, 1894.by Dr. Jesse Bowman of St. Louis. Later that year, a bell was placed in the steeple of the church, and women build the first wooden sidewalk leading to the church. A parsonage of seven rooms was begun. Te cost was covered by subscriptions with the exception of $250 which was borrowed from the Board of Church Extension. In 1913 the church was raised and a basement added, also, the entrance was changed from the north to the east all at the cost of $2,000. In 1922 the old parsonage was sold and a new one purchased at 6018 Kearney Avenue. 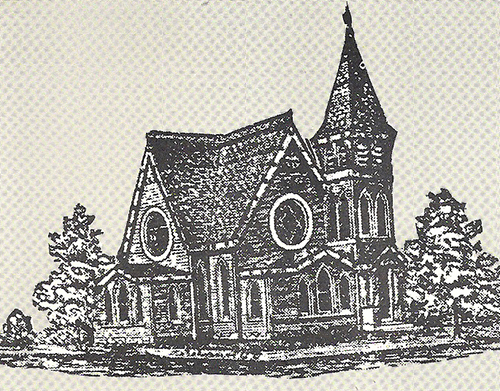 A debt of $1250 was later finished with pennies gathered by the Sunday School. The Men’s Sunday School Class built the Brotherhood room an addition to the east class room in 1922. It was used for meetings of the various groups of the church. Not too long after this, a group interpreting Biblical Scripture differently broke from the class and organized the Havelock Christian and Missionary Alliance Church. This later became Rosemont Alliance Church. In July 1922 a disastrous railroad strike occurred. It was never resolved and caused considerable violence when outside workers were hired to replace those who did not return by a given date. Every facet of community life was adversely affected, including the churches. The bitterness lived on for many years. In 1929, following the stock market crash, there was a period of depression and unemployment. The Burlington Shops were shut down for seven months, leaving six hundred men out of work. To add to the Depression, a drought left the farming area without crops. At the time a Congregational Church, one block east of the Methodist Church, closed because of the bad economic situation. Some members joined in worshiping with the Methodists and some became members. Bryan Memorial Hospital was built in 1926. The Methodist women of Lincoln helped raise funds for the hospital. From the time the hospital was built Havelock Methodist women have been active in the organization of Bryan Women’s Board.Jay, A. Gamer, A. Johnson, Thatcher, J. Maxwell, E. Young, H. Anderson, W. Ross, B. Schoonover, G. Bell, Unknown, H. Elmore, G. Burt, Rev. R. Miller.